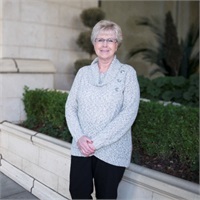 Gwen has been part of the Viren team since January 2009 after working in the life insurance industry for Jim O’Connell for 23 years. She is our Insurance Coordinator. Licensed in Life and Health Insurance, she uses her wealth of experience to guide clients through the insurance process. Gwen spends her free time being a “Grammy,” camping, watching sports and enjoying time with her family. You can reach Gwen by emailing her at [email protected] or by calling our office at (509) 462-0747.